Are you looking for a life right out of the city? Well, look no further! This large 3BR/2BA home offers almost 1300 living area, large master and good size rooms throughout, an open kitchen and dining area with an eat-at bar. The kitchen features appliances; microwave, dishwasher, and stove with oven. There is a new A/C systems interior and exterior, and the property is in clean/well-kept condition. 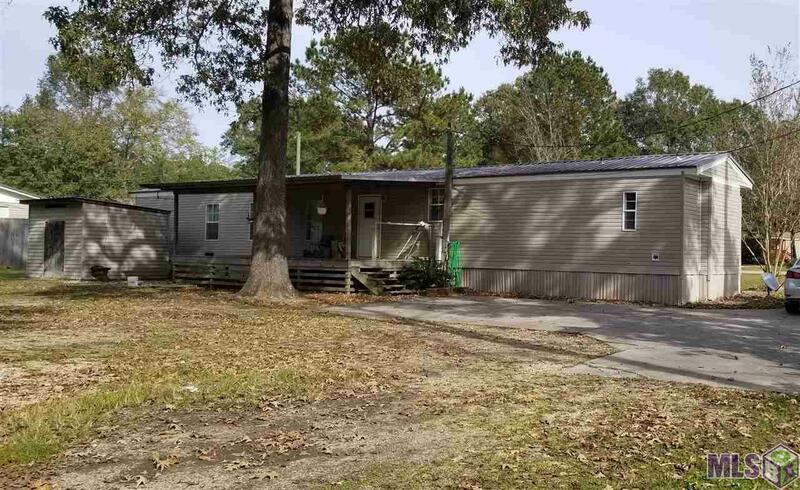 Property has a huge 40 x 30 shop on slab with 20 x 30 covered lean off the side, and another nice out storage building, all under large nice grown oaks, all of this situated on almost a full acre lot with a concrete driveway and parking. Do not miss out! Schedule your viewing appointment today! *Structure square footage nor lot dimensions warranted by Realtor.